Narrative adventure titles have gotten a boost in popularity in recent years, first with Telltale’s excellent licensed offerings, and more recently with DONTNOD’s Life is Strange series. The narrative genre offers exciting plots with branching paths and a small amount of gameplay. The complaints for the genre are relatively universal, though. Many feel that the decisions in narrative adventures don’t feel like they matter, and that overall the stories aren’t all that interactive. After all, you rarely get to customize your character, and you only have a small set of dialogue options to choose from, so players can feel like they’re funneled into where the developers want them to go. Big Bad Wolf’s The Council is an episodic adventure that makes the promise to rethink the genre, offering choices that truly matter and character customization that mimics RPGs. The first episode, The Mad Ones, offers a glimpse into the developer’s attempts to stir up narrative adventures. The Council stars Louis de Richet, who comes to the island of Lord Mortimer after learning about the disappearance of his mother. Louis’s mother just also happens to be an important member of a secret society, one that is merely hinted at during the opening hours, but will surely come into play more as more episodes are released. The Mad Ones, being the first episode, largely introduces the player to many of the guests of the manor and sets the stage for the player. The guests you’ll be interacting with are not average characters, either. You’ll be speaking with the upper echelon of society from all over the world, and they are used to lies, deception, and manipulation. Getting more information on Louis’ elusive mother will not be an easy task, and gaining the trust of the likes of George Washington and Napoleon will be even more difficult. Thankfully, Louis is no incompetent protagonist, and has a number of tools at his disposal to glean information. This first episode ends on a cliffhanger dependent on one of the final choices you make, and it truly feels like most of the choices I’ve made throughout the episode will have lasting impacts throughout the series. 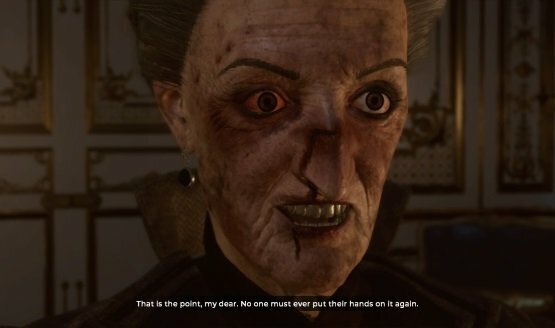 Of course, The Council isn’t the first narrative adventure to make me feel that way, so we’ll have to wait for the other four episodes to release before we see if Big Bad Wolf lives up to their promise. Interestingly, Louis isn’t stuck to a canned set of dialogue choices when speaking to the guests of Lord Mortimer’s manor or interacting with world around him. Near the beginning of the game, you’re asked to choose a class, which will give access to various skills Louis can use while investigating his mother’s disappearance. Additionally, you’ll gain experience and levels, which will net you additional skill points to unlock more skills or strengthen the ones already unlocked. These skills can be used to have a guest respond more favorably to your questioning, or to make a puzzle sequence easier. Be careful, though; the characters of The Council are a personable bunch, and each react differently to different methods of questioning. While one character may be easily confused by diversion, for example, another may catch on quickly and shut down the entire line of questioning in anger. While these skills can offer an advantage, they also cost Effort Points, so you have to pick the right times to use them. From what I’ve seen, any situation Louis finds himself in can be resolved without skill use, but it’s usually significantly harder to figure out the correct answers without the skills to help. I frequently used whatever skills I used at my disposal to attempt to resolve everything with as little difficulty as possible, though this sometimes backfired when I made poor decisions regarding who I was talking to. I really enjoyed how dynamic every interaction felt, and I’m excited to see how these mechanics are built upon in later episodes. The Council’s first episode is a promising start. 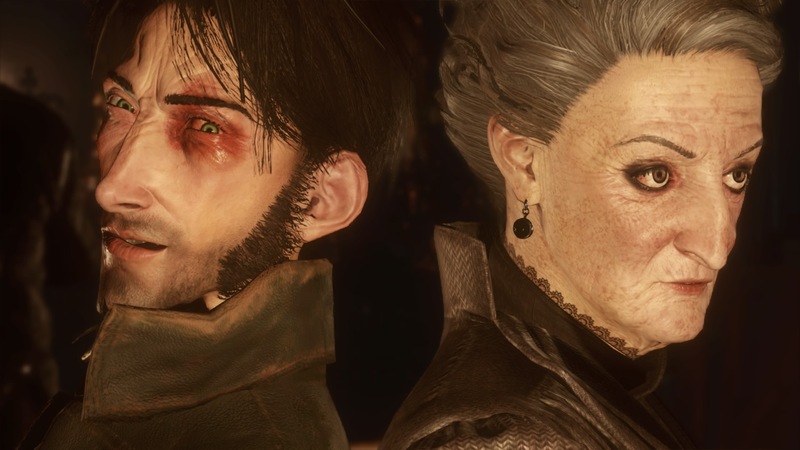 The Mad Ones builds the framework for what can be a wild narrative ride, but it’s not clear yet how far this game will go in terms of its branching paths, or if the narrative will remain interesting throughout. I’m excited to learn more about the deceptive world of The Council and what Louis will uncover in upcoming episodes. The Council Episode 1 review code provided by publisher. Version 1.00 reviewed on a standard PlayStation 4. For more information on scoring, please read our Review Policy.